HIKING FOR HEALTH - GET YOUR HEART ON THE TRAIL! Bentons Heart is on the trail! Is yours? dbBrad, founder of HeartOnTheTrail.com and dbBenton, mascot, pose for a picture next to a trail heart. As i hike with my dog, Benton, it reinforces my notion of having a heart on the trail. 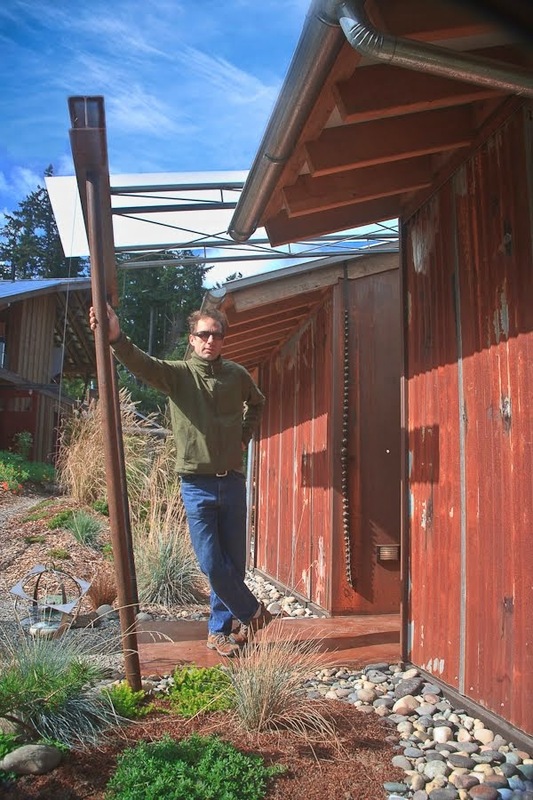 Benton sets a wonderful example by greeting each and every person on the trail with the same excitement, regardless of who they are, what they do and where they're from. Melissa and Rabecca thought Benton was the Cats Meow! His enthusiasm for life, the trail and other people make him a perfect mascot for my fundraiser HEART ON THE TRAIL. These people from France and Quebeck were taking a day hike along the PCT and were enthralled with my hiking adventure on the Te Araroa and the PCT, my month in France several years ago following the Tour de'France, my fundraiser HeartOnTheTrail and most of all, Benton, the worlds cutest Australian Shepherd. If your heart isn't on the trail, here's your opportunity. 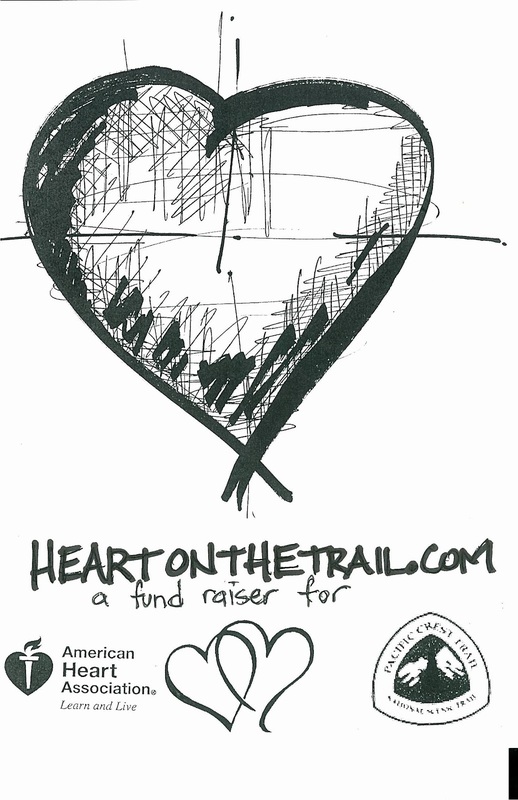 Go to Heart on the trail.com, click on the heart and get your heart on the trail for $1 and help raise money for the American Heart Association and the Pacific Crest Trail Association, two great charities. Benton has traveled all the way from Whidbey Island to join me for a couple sections of the PCT trail in northern California. He's quite a social dog and quite enjoys meeting people on the trail. He's perhaps a bit more social than I am even! No matter how tired he is, he greets people with a little woof, then an intense full body waggle and he doesn't discriminate against day and weekend hikers! It's been great having a hiking buddy for a few sections and is even better that he brought with him Fran and Ed. Fran and Ed have been trail angels as Benton and I hike from one pass to another. It seems some of the other hikers have seen my parents more than I have! It's great to bump into someone that's heard of you or met your parents--like you've already met! It's also great to show up at an intersection of the trail and a road and find cold beer, fresh fruit, and hikers hanging out with my parents. It works well for the dog too since he really can't handle more than a few days at a time. Though physically he's capable of the 20+miles per day, the issue is as a younger dog (2 yo) he just isn't getting enough sleep. I brought my tent along for these sections thinking he may sleep better at night and though he does relax more without the mosquitoes nibbling at his tender nose, he knows his job is to protect us and so he sleeps, but with one eye open. After a few days he starts getting tired enough that his behavior begins to deteriorate. It makes sense, I've seen it in people. So having Fran and Ed supporting me at the various passes like Sonora, Ebbets, Echo, Donner, and Yuba has made my hiking easier and has allowed the dog to hike a few days, rest a few days and hike some more. The dog will only have hiked less than 200 miles with me, but as you can see, he's been in some fabulous terrain. Benton's heart is truly on the trail and I know I'm heart on the trail. Where is your heart? If it's not on the trail, then get your HEART ON THE TRAIL and support the American Heart Association, the Pacific Crest Trail Association. My goal is to raise $10,000 to split evenly between these two organizations and I can only do it with your help and support. Thank you. Get your 'Heart on the Trail' and support two great causes!! After 8 months of hiking I have decided to finish my last 3 months with a fundraiser. Inspired by my first 5 months of hiking the Te Araroa Trail and people and places I've seen along the way including a little heart break of my own, I've taken to drawing hearts in the trail's dust with my trekking poles. The positive feedback from other hikers who have seen the hearts has prompted me to turn this into a campaign for the American Heart Association and the Pacific Crest Trail Association, two very important organizations. The notion is simple. Help me raise money for good causes by simply purchasing one of these short lived trail hearts for $1. Because of my goal to raise $10,000, I am relying on everyone to help spread the word and forward HEARTONTHETRAIL.COM to others on their mailing list. Like any effort of good will, this campaign will work only if we all act together. dbBrad aka FreeStyle on top of Whitney along the PCT 2012. Proceeds will be split evenly between the AHA and PCTA. Key Words: Please help, Fundraiser, Philanthropy, Brad Hankins, dbBrad, Freestyle, Te Araroa, PCT, Pacific Crest trail, Heart on the Trail, HeartOnTheTrail.com, purchase a heart, have a heart, healthy hearts, trails, thru hiking, hiking for a cause, community, National Forest, National Park, Rails to Trails, WTA, Washington trail association, tramping, TA, Te Araroa, Te Araroa Trust, cause and effect, heart disease, prevention, education, health, national deficit, Social responsibility, thank you.